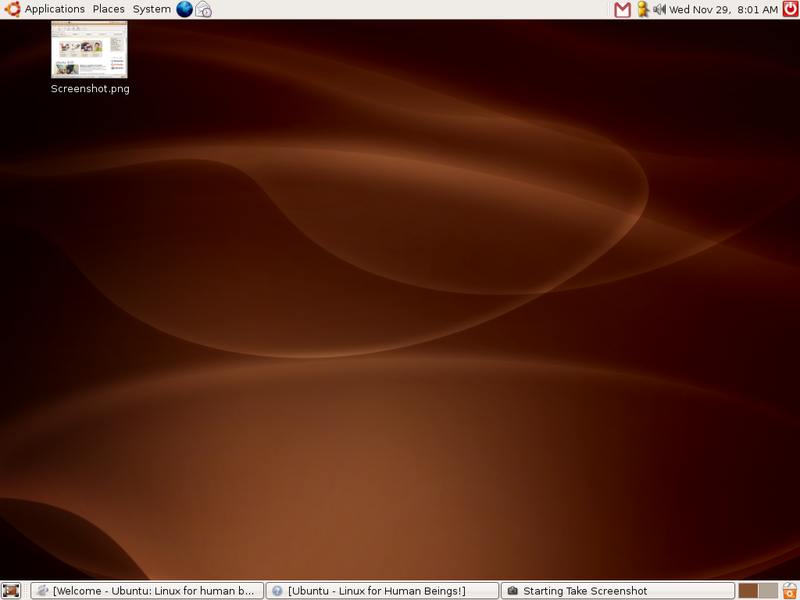 I got frustrated with XP so I decided to try Ubuntu. 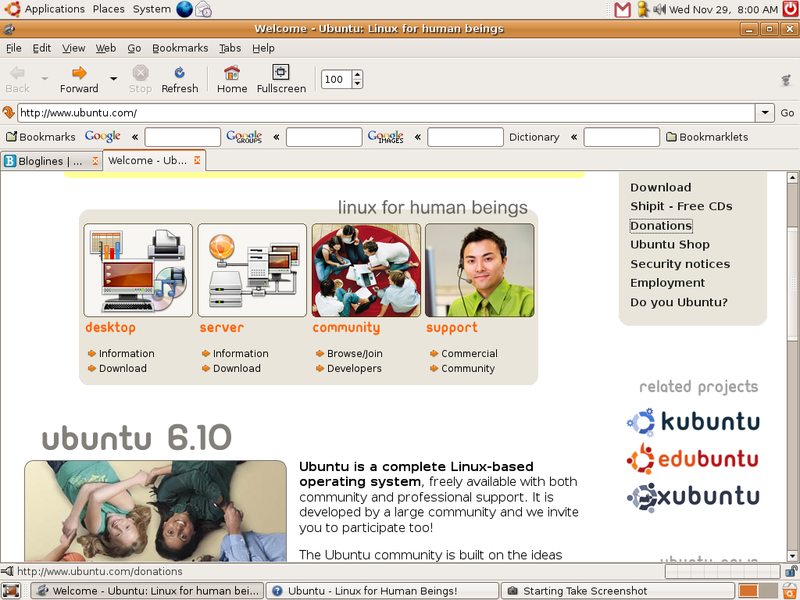 My brother in law Erwin, the first vmware certified professional in the Philippines, gave me a copy of Ubuntu 6.06. Ok naman ang Ubuntu, but it can be a bit frustrating if one isn't that patient. 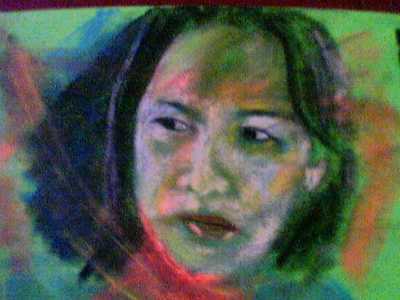 Buti na lang may leanings ako to be a mental patient. Hehehe. 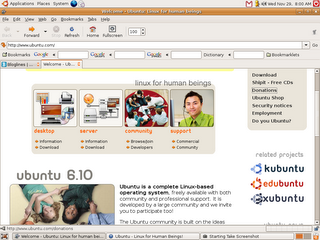 This is a screenshot of the Ubuntu site. This is a screenshot of my default desktop and wallpaper. This is my login sound. Feeling techie lang ako kunyari. Hahahaha! fions, astig yang ubuntu. hehe! update mo na rin. hindi mo na kelangan ng antivirus! bwahaha! Now I can turn to you guys if I screw up my system. Hehehe.